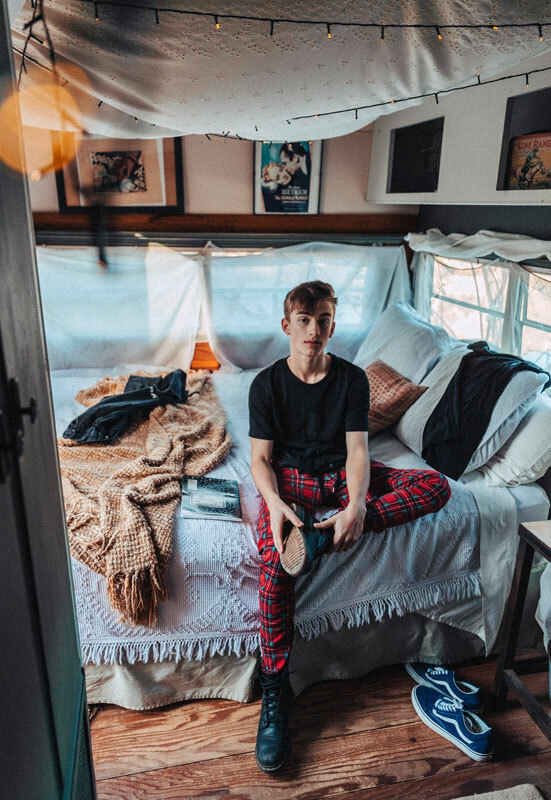 Canada’s newest and youngest rising star, Johnny Orlando, at age 16 has made his name through social media with 5.7 million followers on Instagram. This past November, Johnny was the opening act at the Hudson’s Bay Christmas windows unveiling with headliner Carly Rae Jepsen. When 8-year-old Johnny and his 13-year-old sister Darian were looking for something to do around the house one Christmas holiday, Darian suggested they make a music video. After all, Johnny liked music and could sing, and she’d been studying YouTube for hours in order to figure out how to put together a video and edit it. The video, which featured a cover of Justin Bieber’s Mistletoe, was then uploaded. At the time, their parents, Meredith and Dale, wondered if it was a good idea, but both figured no one but friends and relatives would see it, so it wasn’t worth worrying about. Over the next few years, Johnny rose to fame on YouTube and social media, amassing millions of followers across his channels. As singer/songwriter, he also received a 2018 Kids’ Choice Awards nomination for Favorite Musical YouTube Creator and one in 2017 for Favorite Viral Music Artist. Then just last spring, Johnny signed an exclusive deal with Universal Music Canada, and through a division of Universal, released a new single, a duet with 13-year-old American actress and social media star Mackenzie Ziegler. Johnny is adamant about the choice to make a career in music. “My day always had music playing in the house and I enjoyed it, but doing music was never forced on me,” he says. In fact, he modestly describes his success as part luck as well as a combination of positive factors. “There are millions of kids out there trying to do what I did”, he says, however, his timing was particularly good. While he and Darian were making their early videos, a 15-year-old pop star, singer/rapper from Atlanta, Georgia known as MattyB had quickly become an Internet superstar. By 2013, MattyB had millions of YouTube, Instagram and Twitter subscribers, he’d appeared on many of the world’s biggest venues and been interviewed across network television. MattyB represented every would be musician’s dream come true, and his success helped to fuel the interest in other young YouTube performers like Johnny. 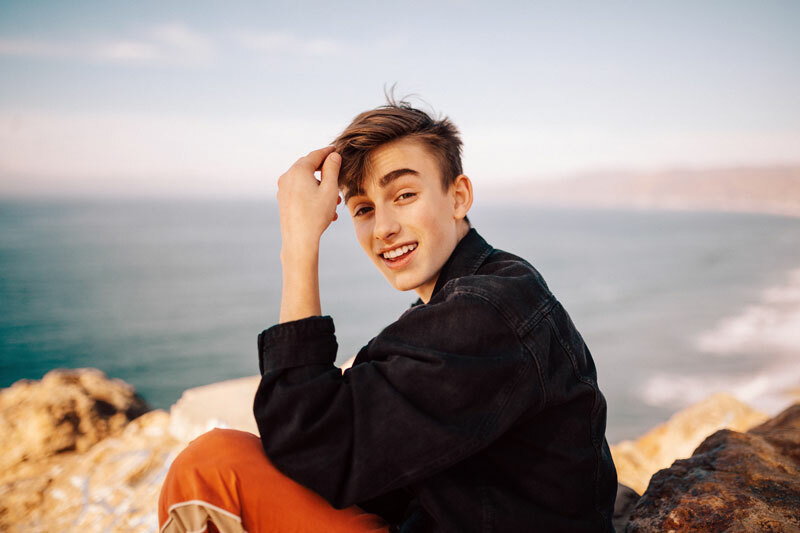 Once he began to gain attention, Darian also began touring in order to promote his music, including a sold-out North American Tour in 2017 with friend and collaborator Mackenzie Ziegler (know by many in her role on Dance Moms). Following the universal deal, Johnny headed out for a tour across Europe this past summer, including a trip to Poland. The last few years have meant that Johnny is a frequent flyer to Los Angeles. For example, for much of the last year and a half he’s been busy with the development and recording of his first solo EP. “The mastering of all the songs was completed this January,” Johnny reports. A release date will be announced in February, and then a tour date, which will include a performance in Toronto. Last fall, however, Johnny was able to return to school and continue his studies while working on his career. Although he grew up in the Burlington Area, Johnny now attends high school in Vaughan. His school makes accommodations for his travel schedule, including online lessons when he’s out of town and a flexible exam schedule. Johnny still plays hockey on the school team but had to give up sports like soccer and football. A typical student, he enjoys Netflix (his favourite show right now is Archer), and likes eating chocolate and pizza. Johnny’s career is truly a family business, although now that Johnny has signed with a major label, Johnny has “people” to help with his career. Still, however, a family member always travels with him, and in addition to writing songs, Darian (now a student at Ryerson) continues to help in the business by managing social media accounts, etc. “YouTube gave me a chance,” Johnny says. “Social media is a great tool to allow young artists and young creators of any kind to express themselves, to get content out there,” he says. He’s also learned that the entertainment business can be very competitive, with real stage moms, and challenging situations. He recalls, for example, a few years ago when he wasn’t always included in someone’s Instagram post because he didn’t have “enough” followers. “People need to chill!” he says.